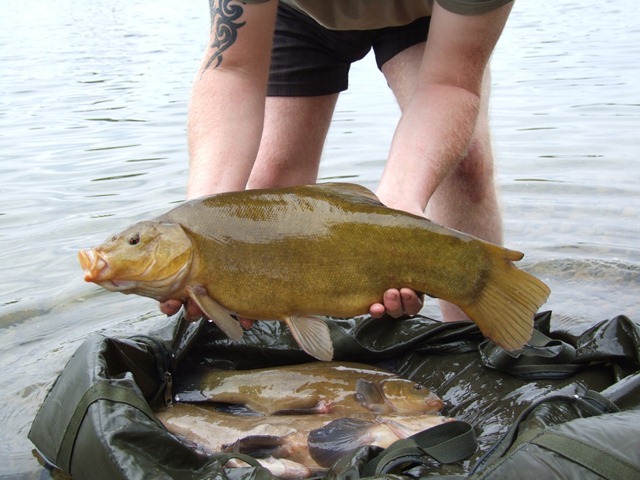 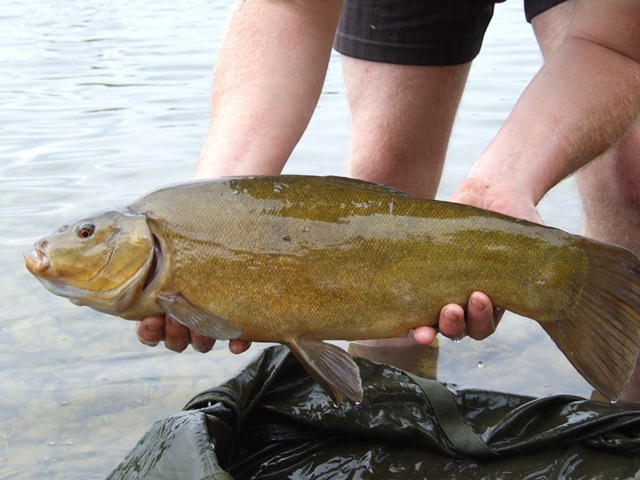 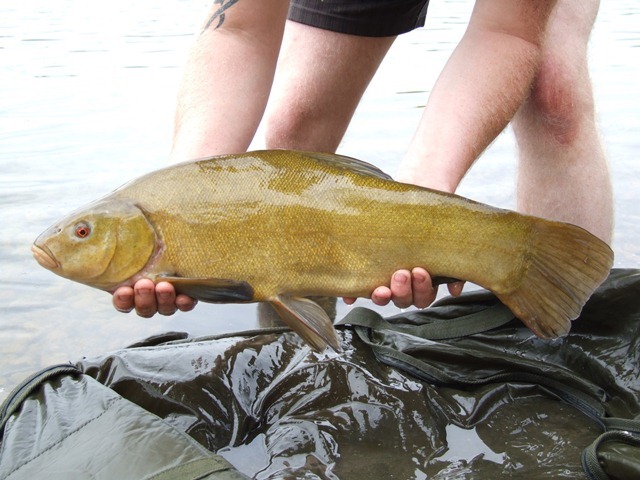 In July 2011 a stocking of 16 Tench took place into the L shape pit. 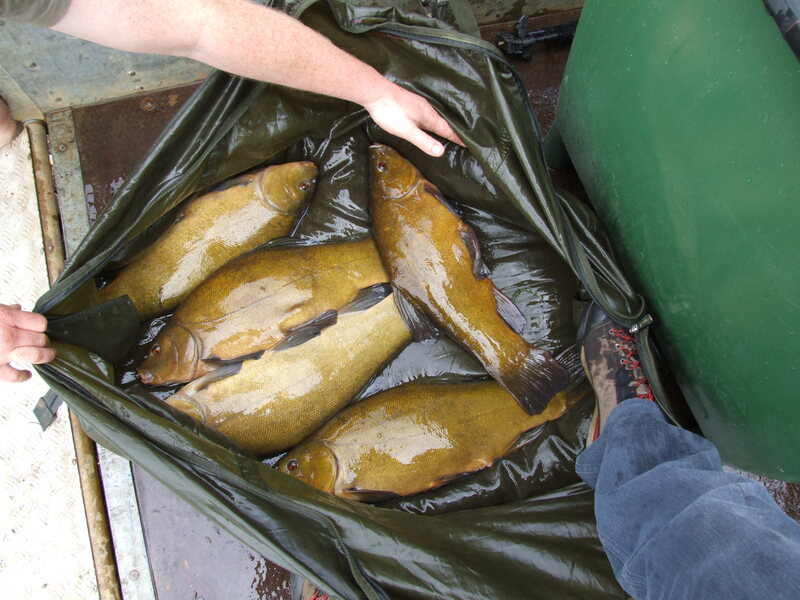 These fish were from a local carp fishery near Huntington and from previous experience are extrememly difficult to obtain. 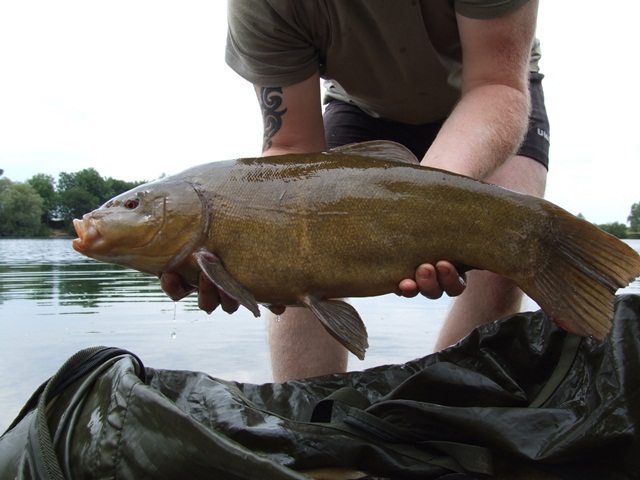 I hope you enjoy the photos and enjoy catching the fish. 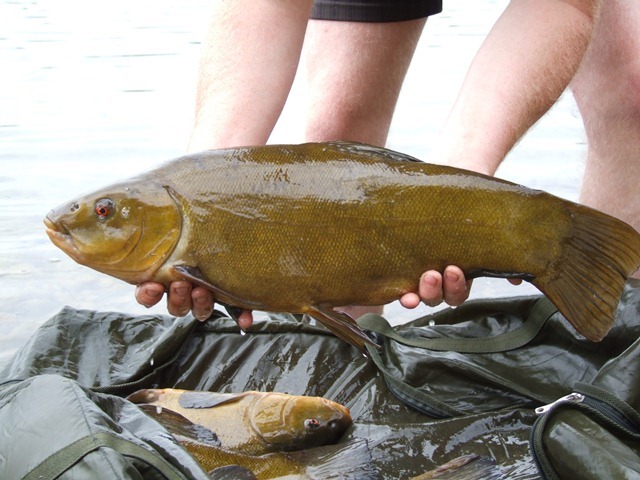 The sizes range from 7.5 pounds downwards, average weight about 6lbs.